1. Stay injury free- Now that the marathon is over, I do plan to take some time off from the gym, but I want to continue my program so I don't encounter anymore injuries. 2. I want to concentrate on smaller distances and possibly hit my PR pace again for either the 5K or 10K. Since the injury I have significantly slowed down in these distances. I don't necessarily want a new PR, but would like to see myself get back down to where I once was. 3. I have one race on the books for 2016 so far and that is the April Fools race along the boardwalk. 4. 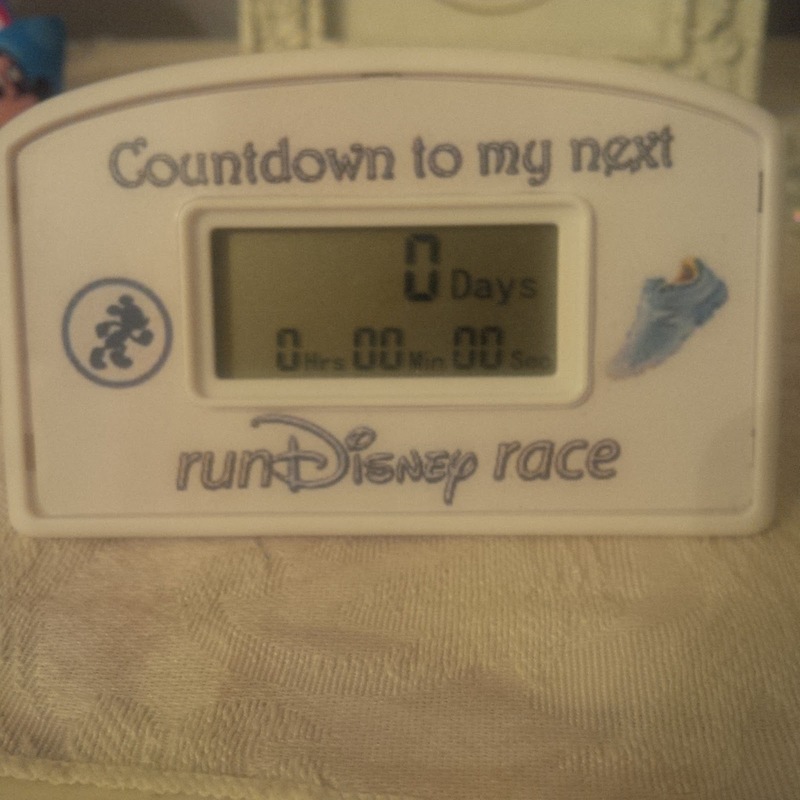 For once I do NOT have another Disney race on the calendar. This is the first time in six years that I currently do not have a commitment to Disney! This may change in a few months though. 5. I want to travel less. I know "travel more" seemed to be a big goal for lots of bloggers but I want to do just the opposite. I want to take less race-cations and do some races closer to home ( or at least with in driving distance). Part of that has to do with this little girl right here. I want to spend as much time with her as possible. 6. Sign up for ariel yoga! This is the year I plan to do it. I've read about it on other blogs and I've even found a studio in town. Now I have the time, so why not? 7. Read more. I would like to keep up with my magazines and possibly even throw in a novel! I hope you had a wonderful time at Disney World! 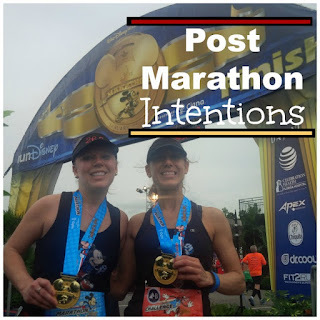 I understand needing to get past marathon weekend before thinking about goals for the year as I have felt the same way too. Love the intentions you have set. I hope you have a great year! Disney world was great! Thanks Leana! I can't wait to hear your marathon recap! I wanted to text you but I got a new phone and didn't have any contacts until today! Aww, thanks for the thought! I'd like to complete Tink injury free, and stay injury free this year. My IT band is still feeling good, and I'm keeping up all the hard work I've been doing to keep it loose. I need to keep up with that and strength training. Best of luck to you! I'm excited for you to run at tink! Ooh... I hope you enjoy aerial yoga! I really found it to be a lot of fun. And I look forward to hearing more about the race walking. I am very excited to go to the ariel yoga class! I'll definitely report back! Yes, definitely looking forward to some local races! Best of luck for being injury free this year! Ha, that's it exactly! My PR times are old news now! I think you will enjoy doing a few races closer to home, I bet you have a few that are awesome that you'll just love! Don't blame you wanting to spend more time with your Baylee! Thanks Kristy! I hope you too can put your injury behind you this year! After this weekend, I'm going to concentrate on shorter distances, like you. I may have spoke to soon when I wrote that...lol. But really I do want to start working on speed and to do that I think I need to concentrate on short distances. Congrats on finishing your marathon injury-free! I can't wait to hear the details. These are all great things to shoot for this year. I also want to incorporate some training for shorter distances, probably the 10K. I've only run a single 10K race ever! I look forward to hearing more about race walking. Here's to a great 2016! 10K is my favorite distance! Congratulations to you both on a good race weekend! I did very few races in the last two years and it helped me get my mojo back. Now that I've basically not done any real running for an entire year, I'm back at it with renewed enthusiasm. As they say, sometimes less is more. Yes, that may be my motto this year. Less is more! Yes, that's my top goal this year! Staying injury free is what I'd like for 2016, too. Patience is key! Yes it is! Fingers crossed for both of us! OHHH - I love the word "intentions"... that's good! I'd want to stay home with that precious fur face more myself!!! I admit I stole "intentions" from another blogger! Thanks Lisa! We're excited to see what 2016 holds! So glad you got through the marathon injury free! I didn't really post about goals or anything, I just want to stay healthy and that seems to be my biggest challenge right now. Ariel yoga seems so cool! I hope you write about it! I'd love to see how you like it. I think my main fitness goal is just to not get injured. Fingers crossed. I didn't post goals for this year. With my hubby deploying soon, my goal is just to get through the year with a smile or two with my kids. Ariel yoga sounds fun, but HARD! 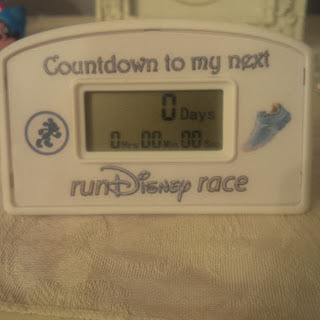 Part of me wonders if the reason I'm tempted to sign up for the WDW marathon in 2017 is because I don't have a Disney race on my calendar for the first time since I started running a couple of years ago. It just feels odd! Can't wait to see your review of aerial yoga. That seems to be a popular new class. We have Orange Theory opening up near us and I may need to try one of those classes. 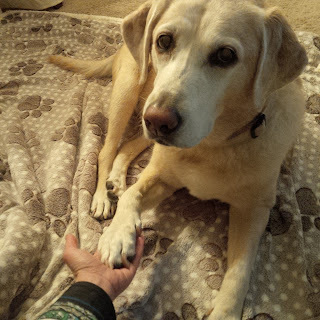 Staying close to home for races is not a bad plan when you have an older dog. You have great intentions for this year. I think that focusing on shorter race distances will help you in staying injury free. I too haven't written my goals post yet, and purposefully haven't since I haven't been cleared yet by my OB to start running again. Once I'm cleared, I'll revisit my goal setting. Aerial yoga sounds like so much fun! !